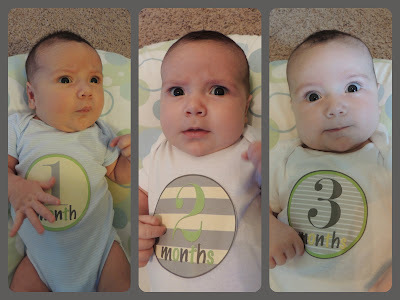 My big boy is now a whopping three months old! ;) Time is going SO FAST and I'm sad to say that I'll be heading back to work next week. While I'm sad (and nervous) to leave him, I also feel SO BLESSED to have stayed home with him for this long! Weight: I'm guessing between 15-16 lbs. 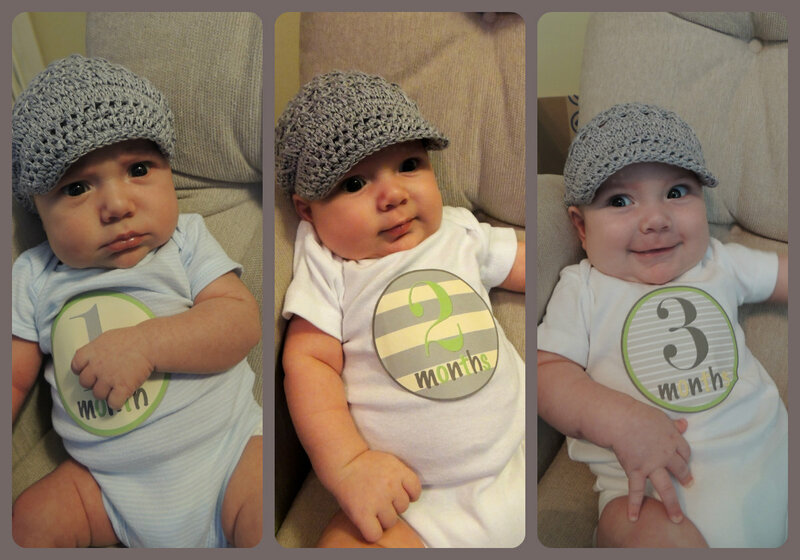 Clothes: Still some 0-3 months, all of his 3 months, and a lot of his 3-6 months. I'll be washing all of his 6 month stuff this week! Schedule: We're still on the 3.5 hour schedule. My little man sure is growing!